An efficient and quick Fat data recovery software to undelete both lost files and drives from any FAT file system based Windows computer. The undelete program effortlessly recovers business-critical documents, sensitive files, treasured videos to your memorable photos in a secure manner. 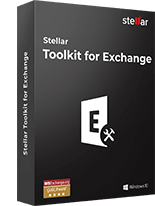 An ultimate recovery software that is intended to recover photos, documents, and other multimedia files from Fat file system based Windows operating system. This fat file recovery utility ensures recovery of both intentionally and accidentally deleted files from any FAT file system based partition or removable media. This FAT File Recovery software employs two powerful scanning methods—‘Quick Scan’ and ‘Deep Scan’ to recover your lost or deleted files instantly and completely. While in Quick scan option, the software quickly scans the files and recovers your data within a short period, in Deep Scan mode, the tool efficiently scans in-depth to find every hidden files or document, which is not possible through Quick Scan option. 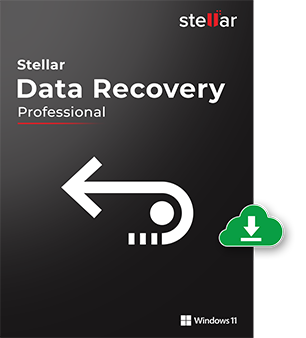 Stellar FAT Data Recovery is an improved data recovery utility that ensures complete recovery of lost or deleted data from previously existing partition. Thanks to its Deep Scan mode, you can easily recover data from the severely inaccessible drives. 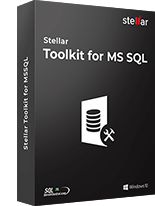 For seamless as well as exact recovery, this utility prior to facilitating recovery, will specifically ask for the volume and drive you wish to recover. 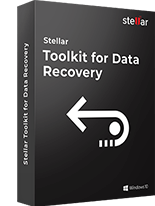 Stellar Data Recovery Professional software is the best bet in cases where an initial attempt to recover lost or deleted file fails. 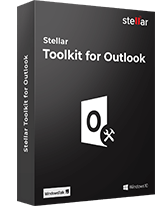 Backed by an excellent Raw Recovery feature, this utility is a perfect way to keep you on a safe side in almost all possible worst scenarios. This improved feature will search files in drives based on file signature and allows you to recover the same in a protected manner. This software employs highly advanced option—‘Advanced Setting’, which helps in efficient recovery by specifying the files at the start of the scanning operation. Using this innovative option, you can add unknown as well as new file headers to the current files list and further can edit the header of predefined file type. The Imaging feature of this FAT data recovery utility allows you to create a (.img) file of any defined media as well as volume. This file can be used later at the time of recovery using ‘Resume Recovery’ option. It is a perfect option to secure your valuable data from further damage and data loss. An efficient Data Recovery Software that let you resume recovery at any desired time. This option allows you to perform recovery from an image file or previously saved scan information conveniently. It saves your time as well as allows you to work in accordance to your convenience, as you do not have to start from the scratch every time. The cutting-edge Preview feature allows you to have a look at all the recoverable files in three different viewing perspective— ‘File Type’, ‘Tree View’, and ‘Deleted List’. This option not only lets you to have a look at all recoverable files prior recovery by creating a preferred index of scanned files but also assure you of its recovery capability by delivering the preview of all the recoverable files, prior actual recovery. A simple and smart feature of this FAT Data Recovery software. The major benefit of this feature is to boost the scanning speed. It can be done easily by turning off the file preview option. An efficient monitoring capability. With the ‘Scan Status’ option, this FAT recovery software provides a detailed oriented report about the scanning progress. It includes details about time require, the elapsed time, and the time left to complete the scanning. Further, it also states the so far found files. Whether you are looking forward to the particular file types in a logical drive or specific folder or searching the specific folder for lost & deleted files, the Stellar FAT Data Recovery software’s ‘Effective Search’ option is best. Using it, you can easily search the requisite file with ease. Thanks to compress recovered files option of the FAT Data Recovery software, you can easily save your considerable disk space. Using this option, you can compress either an entire data or a single file. You can save these compressed files in a single compressed 'zip' folder at a desired location. 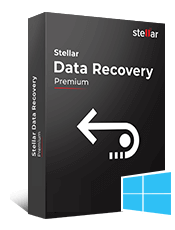 Try Stellar Windows Data Recovery - Pro to recover lost data. I am using Windows Vista and unable to see my physical disk in your software ? You need to run the Stellar program in 'Administrator' mode. To do this, please follow the below mentioned steps: Right click on the program icon and go to 'Properties' >> 'Compatibility', now under Privilege check the option 'Run in Admin Mode' and click on Ok button. Now, run the software again and you can see the physical disk on the left hand side of the panel. How do I recover data from the hard disk having bad sectors using FAT Data Recovery Software ? We would suggest you to create the image of the drive using the create image functionality of FAT Data Recovery software and try to recover the data from the image. As the software will create the image of the good sectors of the drive and skip the bad sectors. Follow the following process to create image using the data recovery software. For the same double click on the physical disk in the software and click ‘Create Image’ and then save the file to another drive (make sure do not save the image file on the same drive from which you want to recover the data). Then import the saved file in the software by going to ‘Drives >> Open Image file’. And then perform the scanning on the image file and try to recover the data. To save the scan information, go to 'Tools' menu in the program and select 'Save Scan Information' option and select the destination folder to save the ‘.dat’ file (make sure do not save the file on the same drive from which you want to recover the data). Once you saved the scanned information you can open the same by going to 'Drives' menu in the program and selecting 'Open Drive Using Scan Information' option and try to recover the lost files (make sure do not make any hardware changes on your system after saving the scan information).